Whilst social media can be incredibly powerful, getting a campaign wrong can ruin a company’s reputation in seconds. 2017 was full of marketing fails from companies who usually get it so right. We’ve picked our 5 worst marketing campaigns of the year. Probably the most mocked campaign of the year, Pepsi got this one so wrong. Pepsi hired Kendall Jenner who sought to depict Pepsi as a cultural unifying force, having a celebrity quell tensions by offering a police officer a can of Pepsi. However, many were quick to point out that Pepsi’s ad appropriated imagery from social justice movements like Black Lives Matter and it trivialised demonstrations aimed at tackling social justice causes, suggesting that protestors and police would get along better if the protestors were kinder. Pepsi eventually bowed to pressure and pulled the advert along with issuing a grovelling apology across their social media accounts. This was an epic fail and caused wide spread outrage! One of the worst social media campaigns of 2017 was Dove’s. They designed six differently shaped bottles of shower gel designed to ‘evoke the shapes, sizes, curves and edges that combine to make every woman their own limited edition’. Many responded with horror stating that the bottles would do more harm than good. Women felt the shapes invited shoppers to judge themselves against what others looked like which surely would increase the sense of feeling different rather than acceptance. Dove, who have been successful in making women feel good about themselves since 1997, had failed with this campaign. The bottles never made it to production, which is probably a good thing. Walkers launched a social media campaign asking fans to tweet a selfie using the hashtag #walkerswave for a chance to win free tickets to the Champions League Final in May. 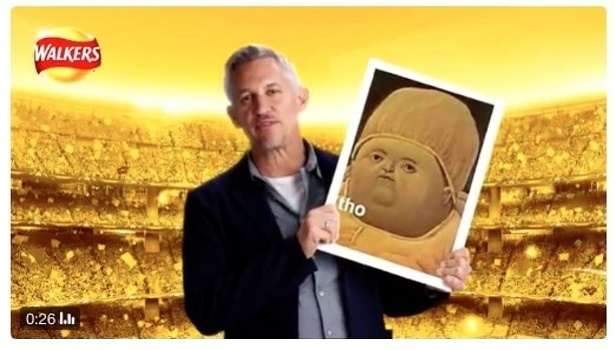 The company turned the selfies into a video of Gary Lineker holding them up in front of the CL Final stadium (featured image). Unfortunately, the company didn’t properly vet the selfie submissions and images of serial killers, dictators and even the odd meme quickly appeared. The plug was pulled on the campaign which was ultimately a disaster. It wasn’t a good year for Dove in terms of social media campaigns. Dove posted an image on its Facebook page showing a woman 'changing race' as she removed her t-shirt, in an attempt to promote their body wash. This sparked enormous backlash and Dove apologised saying the image had been taken out of the campaign. Unfortunately, the damage had been done - most people couldn’t understand how the marketing department had been so tone-deaf to begin with and how this ever made it on to the company’s social media page. 2017 truly was a year of marketing fails for Dove. Although not a social media campaign, this was posted all over social media as one of the biggest ‘what were you thinking? !’ marketing campaigns of 2017. An email was sent out to Adidas’ US customer-base with the subject line ‘Congratulations you survived the Boston marathon’ – a probably inadvertent, but incredibly insensitive nod to the Boston Marathon bombing of 2013. Adidas quickly issued an apology across their social media accounts and stated no thought was given to the email subject line. This is an email marketing campaign that was spread worldwide via social media, and a prime example of how one mistake can tarnish brand reputation and illustrates the true power of social media. You wouldn’t think such iconic brands could get it wrong, however 2017 was filled with marketing fails! If you need help with your 2018 marketing efforts, get in touch with us at Roland Dransfield and find out how we can help you today. Don’t forget to follow us on Twitter and Instagram to stay up-to-date on all things social media, marketing and PR.